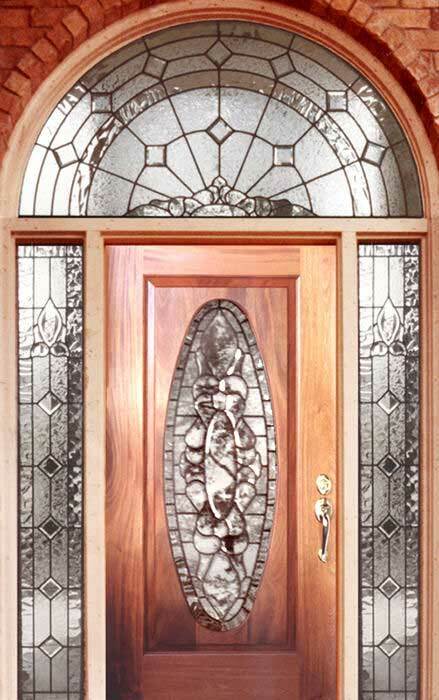 "CH71E" ENTRY WITH LEADED GLASS BEVEL WINDOWS CUSTOM AT GLASS BY DESIGN. Entry with leaded glass bevel windows with CH71 and CH72 bevel sets. Mahogany D150 36" x 80" oval door with golden oak stain. This unit is also available with gluechip bevels. All units are sold separately by the piece. You buy only what you need.